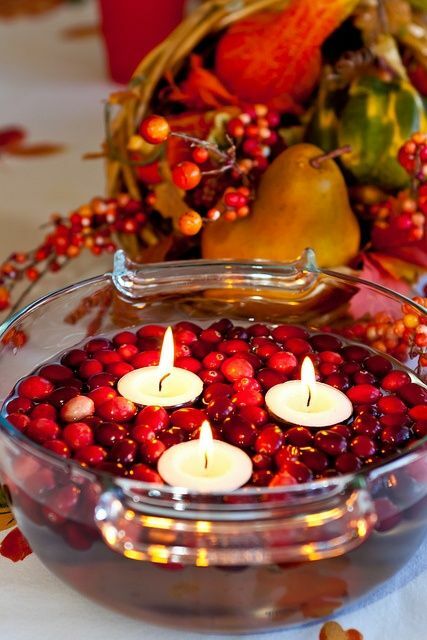 What about a lovely bowl filled with cranberries and tea candles? A container like this has so many possibilities. 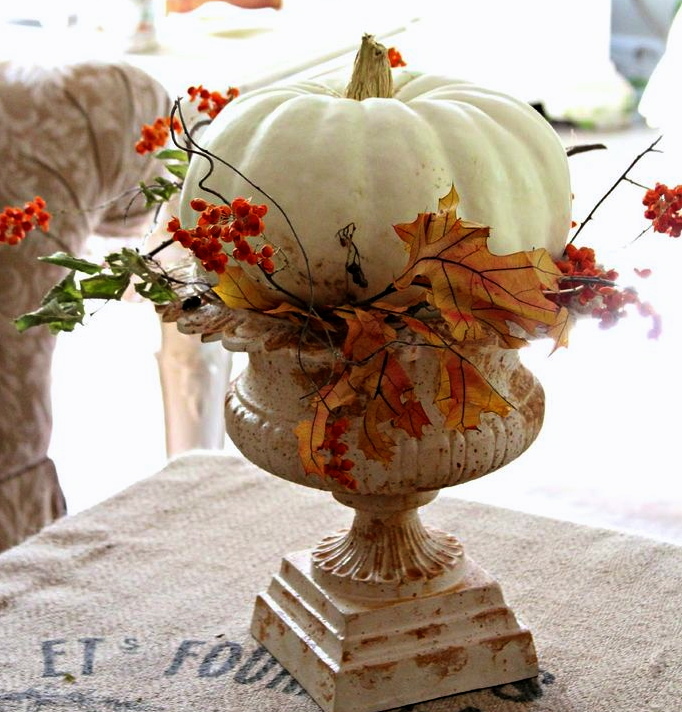 A pumpkin placed on top is perfect for your table. Be sure to tuck in greens, berries, and leaves to soften the edges. Think about things you have that can be used for containers. A cake stand with a candle is simple, but effective. A tray of some kind is perfect for smaller tables. Children will enjoy the candy corn that makes this simple design fun. Use your imagination, forget expensive arrangements, use candles, and clip some greenery. You’re all set. While you are gathering your things and creating a design, use the time to think of the things you are thankful for. Practice having a grateful heart. 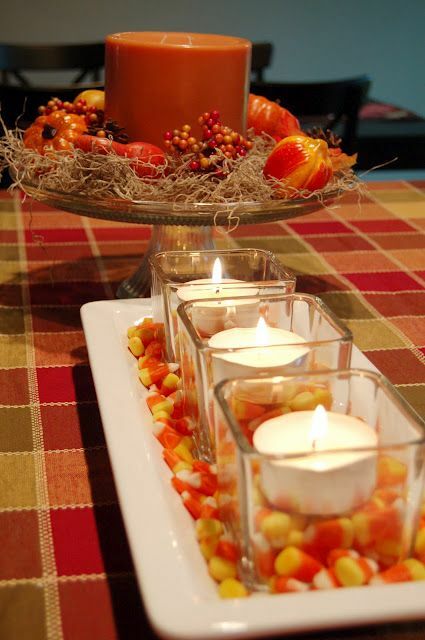 This entry was posted in SFH Reflections and tagged Thanksgiving Table Ideas. Bookmark the permalink. Stepheny, you are amazingly creative and have an artist’s eye. I will try some of these! Hope you have time between your good writing sessions to decorate. Happy Thanksgiving. I am thankful for your new friendship. Happy Thanksgiving! Nice creative ideas Stepheny. That white pumpkin is wonderful. I’ve used cranberries and tea candles for several years, varying the container and guests always enjoy them. Hope you have a wonderful Thanksgiving.